Swimming Pool Repair Goodyear: Can I Repair My Pool On My Own? Can I Repair My Pool On My Own? Here at Universal Pool Service, we have been assisting homeowners with pool repairs in Goodyear, Litchfield Park, and Glendale since 2002. During our many years in the industry, we have seen everything from a minor pump clog to much bigger issues, such as a completely failed drain system. For many homeowners, when something goes wrong with their swimming pool, they aren’t sure what to do. Should they try to handle the repairs on their own? Should they call in a professional team? The reality is that not all pool repairs are alike. There are some simple repairs that you can probably tackle on your own with no issue. However, there are other repairs that should only be attempted by the pros. 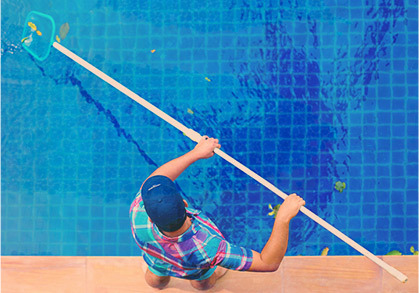 If you aren’t sure where your pool repair lands on this scale, check out the following tips on determining when you need to call our team for help. #1: Do I Know What Is Wrong? First and foremost, one of the most important aspects to repairing an issue with your swimming pool is properly diagnosing the issue. As you notice that something is awry with your pool, spend some time trying to figure out what is causing the problem. If your chemicals are off balance, is it because of your drain? Is there a filter that is clogged? Do you simply need to add more of a certain chemical to the water? If you can’t diagnose the issue on your own, then it is time to call in the professionals. Without a proper understanding of what is causing your issue, there is no way that you will be able to find the right solution. In many cases, homeowners waste their money and time because they can’t figure out the problem their pool is having. This causes them to try out a dozen different solutions, often to no avail. Rather than wasting your money guessing, call in a professional if you aren’t quite sure what is wrong. #2: Do I Have The Right Tools? If you can diagnose the issue and you are positive that you know what is wrong with your pool, the next thing you have to ask yourself is whether or not you have the right tools to get the job done. Jimmying with something that you are ill-equipped to work on can lead to further damages and issues. Figure out what tools you will need for the job and make sure you have them on hand before you begin work. If you don’t, you can consider purchasing the tools you need. However, in some cases, the repair you will be making is something that will rarely need to be done. If so, investing in a whole toolset for the job might not be worthwhile. In this case, it is better to just pay for a one time repair. #3: Do I Have The Time? Let’s say you do know what the problem is that your pool is having. You feel confident in your diagnosis so you have moved on to checking your toolbox. You find that you do indeed have all the tools you’ll need to get the job done. Now it is time to ask yourself, do you have the time to accomplish the job? 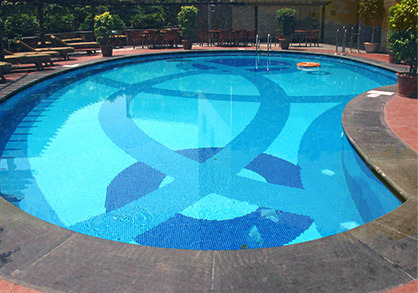 Time is often one of the number one reasons that pools are left unused month after month. You know what needs to be done, but your schedule is simply too busy for you to take a whole day to tinker with the swimming pool. 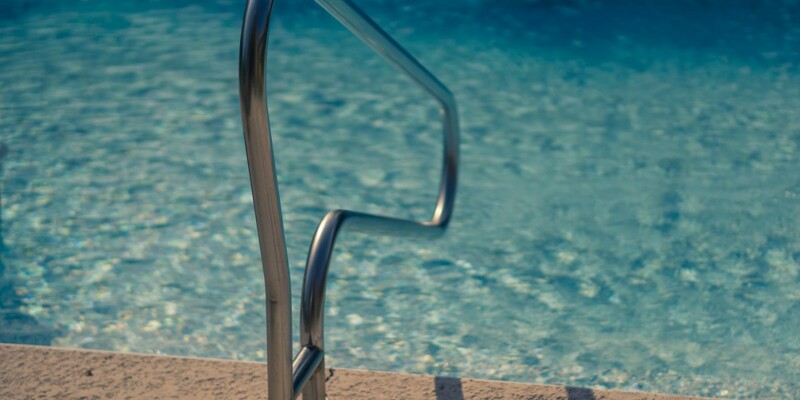 The result is that either your family keeps using the pool in an unsafe condition or it sits waiting for repairs and no one gets to enjoy the waters. If you are someone who’s life is just too busy to handle repairs on your own, it is worth calling a professional to get the job done. A pool repair company will be able to work much faster than you could on a project due to the amount of experience they have handling similar issues. #4: Is There A Bigger Underlying Issue? Finally, while you might be able to handle a simple repair for your pool here and there, such as cleaning out a dirty filter, the reality is that many small issues are pointing to a bigger problem. For example, if you notice a constant issue with your pool’s chemical balance, it might be due to a problem with your drainage system or pump. Simply adding chemicals here and there to fix the issue will not tackle the underlying cause. A professional can diagnose a problem and find the answer that solves the issue once and for all. This can save you a lot of time and money that you might otherwise waste on bandaid fixes. If you have a pool problem that is beyond a simple do-it-yourself repair, please don’t hesitate to contact our team at Universal Pool Service. 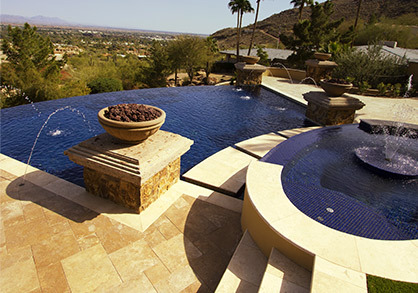 We provide an array of pool repairs in Glendale, Litchfield Park, and Goodyear. We will be happy to diagnose the issue you are having and then come up with viable solutions. Throughout the many years we have been in business, we have gained a solid reputation as a reliable and trustworthy pool repair company. Our clients count on us for ongoing maintenance, pool cleaning, chemical balancing, and major repairs. We always put our customers first and you can rest assured that the job will be done right the first time. Contact us today to schedule pool repairs.